It’s been a while since I attempted to use Wondra Flour in baking. The last time I made Wondra Sugar Cookies. They were pretty good, but the dough was hard to work with and I wasn’t sure how practical the recipe really was. But now I have a new baked good that uses Wondra, this Wondra Flour Angel Food Cake. Wondra Flour Angel Food Cake is from an article on Taste.com where the author claims she’s taking the recipe back from suburban ladies who made it overly fussy. There’s no need for extra fine sugar or bringing the eggs to room temperature or breaking up pesky lumps of flour. With this recipe you just pour everything in the stand mixer bowl, beat it, then add the Wondra flour. Compared to the 700 hundred other angel food cake recipes I’ve made, this one does seem a bit easier. I can’t say it is better tasting or that the texture is better because the other ones are really good too, but this one did seem a lot more convenient and came together quickly. I covered the cake with Seven Minute (7 Minute) icing, but because I raced through the process and got my double boiler too hot, my Seven Minute Icing was done in five and it started crusting over in the pan. Luckily I managed to spackle it onto the cake and in the end we all enjoyed it. Here’s the original recipe along with the article. The recipe doesn’t say when to add the salt and it also recommends using ¾ teaspoon of fine salt, which I guess means Diamond Crystals red box. If you only have Morton Kosher blue box salt, just use a scant ½ teaspoon. 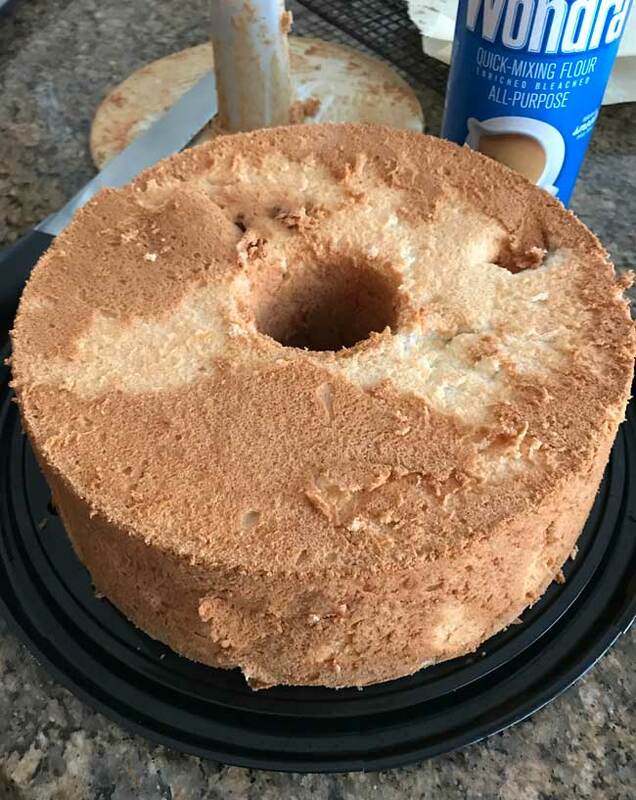 Wondra Flour Angel Food Cake is angel food cake made with a type of instant flour that goes by the brand name Wondra. Preheat oven to 350 degrees F. Have ready an angel food cake pan with a removal bottom. 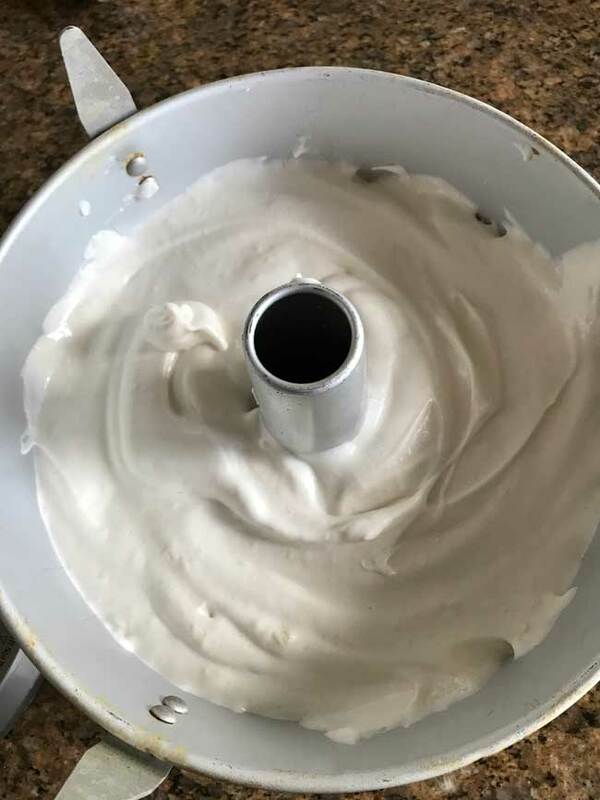 Put the egg whites in the bowl of a stand mixer. Add the sugar, cream of tartar and vanilla. Using the whisk attachment, begin beating on medium. Gradually increase speed to high and beat for about 5 minutes or until mixture is thick, smooth and white. Beat in the salt. Reduce mixer to about medium low and gradually add the instant flour, beating just until it is mixed in. Remove from stand and stir with a heavy duty scraper just to make sure all the flour is incorporated. Scrape batter into an angel food cake pan. Smooth it evenly, then hold the pan about 2 inches off the counter and drop to release trapped air bubbles. Bake the cake for 50 minutes. Allow it to cool for 1 hour, then remove the angel food cake from the pan by loosening around the edges and middle and bottom with a bread knife. I love making angel food cake. Especially when there are fresh local strawberries in the summer. Cheryl, that makes sense. I’ve actually been making cookies with 1 egg and 1 yolk all week and saving the whites in the freezer. 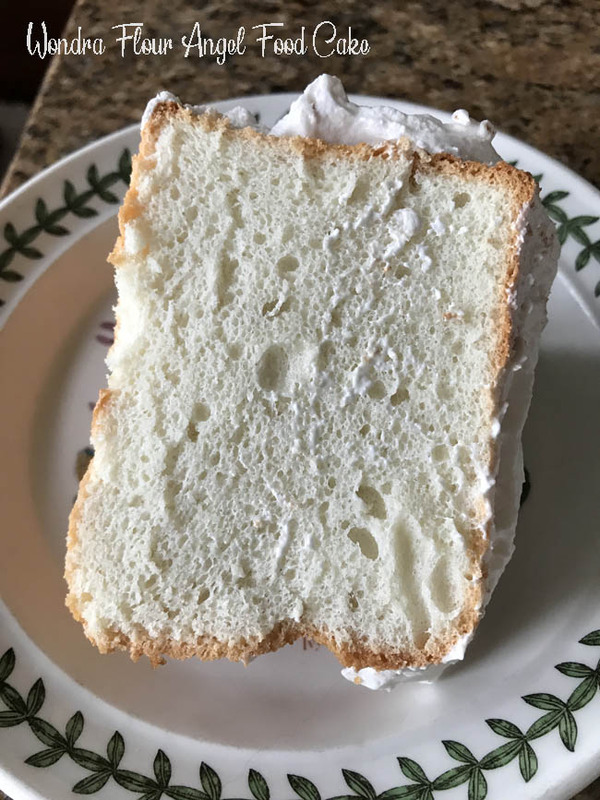 I made the angel food cake when I finally had 425 grams of egg whites. Egg whites freeze well (thank goodness). It is using a dozen egg whites that stops me cold from making an angel food cake. Would never use up a dozen yolks before they went bad. I really like the 2 part old fashion angel food cake mix. Difficult to find, Aldi’s had it for awhile and I bought 9 boxes!